Our company has sold real estate in southern, New Hampshire for many, many years. This gives us a unique perspective on the current real estate market. It's just increible how the real estate market has changed, and we have been involved with it, during every twist and turn! When is the best time to buy? The best time to buy may be when everyone is fearful and unsure. This is usually when prices are lowest. Or it may be when interest rates are at historic lows, which makes the monthly payment incredibly affordable. The most honest answer is this; the best time to buy is when you are secure in your job and when you reach a point in your life when you want to have complete control over the place your call home. It is the time when you have the means to find a home that reflect who you are. Home is the setting for the awesome experiences that life brings. The market, to some degree, is an ever changing side show, that will take care of itself. But here is some perspective to show you how waiting for the market to change, could be a mistake. The real estate market in the early 1980’s witnessed mortgage interest rates that were incredibly high and topped out at 18%. Prices on the other hand were very low because of the high rates. The people who bought during this period, got incredible buys and gained all the appreciation that followed in the mid-1980s. The real estate market was even bleaker in the late 1980s through the early 1990’s. The five largest New Hampshire banks went bankrupt because of bad real estate loans and home prices dropped. This was a tremendous buying opportunity and the folks who bought then also reaped tremendous appreciation in the years following the slump. Nobody can predict what the future holds but if the past is any indication, now just just might be an opportunity time for you. Asking prices have come down since the peak in 2005, there is a large selection of homes on the market. 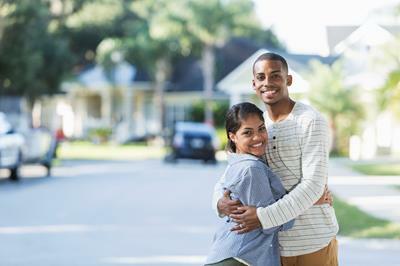 Financing is readily available, mortgage interest rates are the lowest they have been in decades with a large variety of programs for first time buyers. If you're ready to enter the market we can provide you with the insight you need to make a wise choice in today’s market. Why not contact us today. This is home. This is where awesomeness happens.